WIRED generated awareness of Sony’s new make.believe brand platform through a unique, cross-platform program centered around CES. Live: Hosted by reddit co-founder Alexis Ohanian, the Man on the Floor program captured conversations taking place at CES. Digital entertainment junkies were interviewed about top Sony products and trends in technology, gadgets, and digital entertainment. 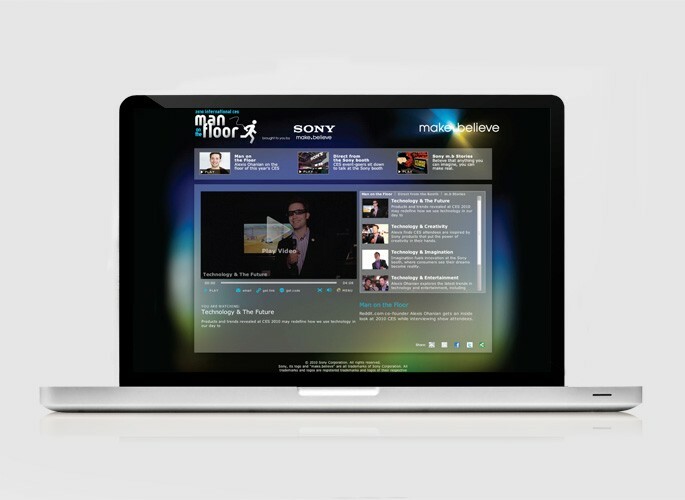 Digital: A custom Man on the Floor microsite was developed to bring CES to the consumer. A series of five custom episodes took the tech pulse of attendees from around the globe. Additional videos included videographies on the role Sony has played in enabling consumers to make their dreams a reality. 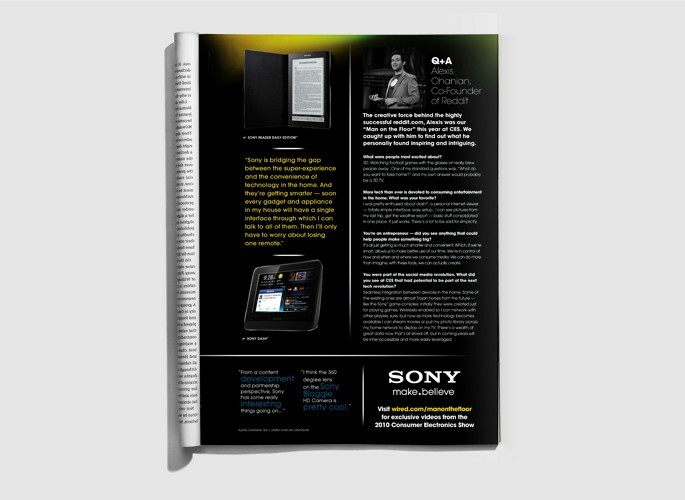 Print: As an extension of the online program, WIRED worked with Sony to develop a custom, 4-page gatefold featuring a short interview with the Man on the Floor host, punchy quotes from video interviews at the Sony booth, and Sony’s buzzed about technology and products unveiled at CES.